Humans. Men and women. Some skinny, some plump. Some creative, some perfectionists, someeasy going. Some have a tough time fighting digestive disorders, some crib about skin afflictions, while some sniff and sneeze frequently. Trust it sounds familiar as you may yourself bear some of these traits. Even in a single family, all members have diverse personalities. People differ not only in looks and mental temperament, but also in attitude, tastes, reactions, and abilities. But ever wondered why? Ancient Indian science of Ayurveda has the answer to it. Ayurveda helps us categorise ourselves based on our inbuilt foundation. It is all about the play of vatta, pitta and kapha - the three primary body doshas. Knowing which dosha is dominant in us, why it gets aggravated, what illness the aggravation causes and how it can be balanced will make us our own doctors. This book makes the task only simpler for you. 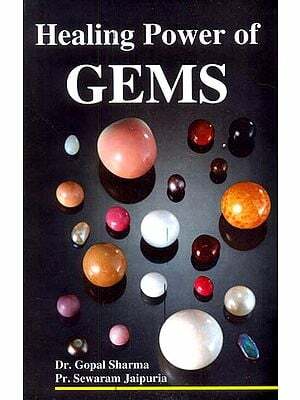 It is the best guide to help you identify yourself, understand the actions (and reactions), physical and mental characteristics and balance the imbalance to restore natural well-being for entire life. Sonica Krishan isAyurveda and Natural Lifestyle consultant based in Chandigarh, India. She has done her Bachelor's in Ayurveda Medicine and Surgery, and Advance studies in Naturopathy' and Yoga. Sonica is freelance health writer, and author of two books - Herbal Healers and Home Remedies. Actively involved in discussions relating to health, Sonica frequently delivers talks, lectures, and conducts workshops on ways of attaining sound health by using natural remedies. She is also a Reiki Healer. She may be contacted at drsonica@herboveda.co.in or through her website www.herboveda.co.in. Ayurveda dates back more than 5,000 years. The first written records of Ayurveda have been found in the Vedas, the oldest and the largest body of knowledge in history. This science of life started as an oral tradition, with the knowledge being passed down by the rishis, who studied nature and its laws, and analysed their effect on human beings. Extensive research and writings on Ayurveda have taken place right from the ancient times. 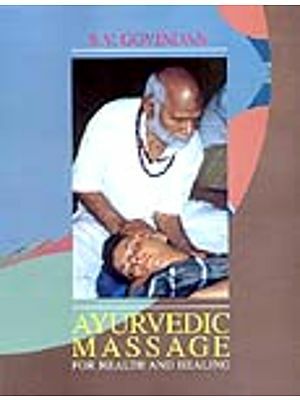 One can even find texts on Ayurvedic surgery. Charaka-Samhita, one of the earliest and most authoritative texts on Ayurveda, is till date considered an important source of medical understanding and treatments. 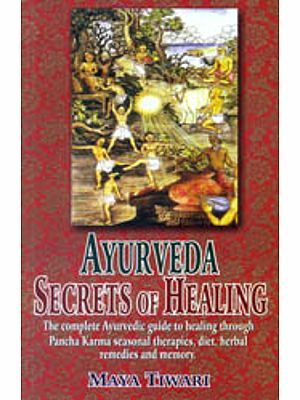 The compendium explains everything about Ayurveda, from the theory and philosophy to the cellular structure of the body and more. During the ancient times, Ayurvedic knowledge had prolifically spread to many parts of the world. Eventually, it made its way to Greece, where it had profound influence on the development of medicine. However, its use declined after the 15th century, when India came under the influence of European colonisation. In 1835 the British imposed a ban on Ayurveda in order to favour European medicine. But in the beginning of the 20th century when the struggle for India's independence gained momentum, the science of Ayurveda was revived, duly recognised and successfully practised by many Indians. At present, Ayurveda has gained back its prominence in India, and is also included in the curriculum of schools and universities. Rigveda glorifies the importance of charity. It states that the best way to give is to expect nothing in return; and that the manner of giving is through love, devotion and respect. Imparting knowledge is the most refined form of charity as knowledge cannot be stolen or destroyed, and with time it only grows to give more happiness to everyone around. I am grateful to all those who arc involved in spreading across this ancient wisdom of Ayurveda. Dr Sonica Krishan has shared a very powerful insight with us through the medium of her book Healing Through Ayurveda - Tips For Dosha Understanding and Self Care. Ayurveda, being 'The Science of Life', explains the nature of everything in the universe. When we understand how the universe works, we begin to understand our place and role in the world. We begin to realise that when we keep ourselves in balance, allowing our basic nature to come sparkling through, then we attain the healthiest and happiest state. We can express ourselves clearly and confidently, with passion and purpose, in all that we do. As we learn about Ayurveda, we get a firsthand experience of the interconnectedness of all life forms. We learn about nature, we learn about each other and also, how we can best take care of ourselves. We are able to recognise perfection and beauty all around us. We see that every creature has a distinct role to play. The eagle is no more important than the swan. The swan is no more important than the hummingbird. We neither see the eagle wishing to be a swan, nor the swan longing to be like a hummingbird. And yet, as humans, we try to be what we are not, or expect other people to behave in ways that are contrary to their own nature and instincts. Ayurveda teaches us that all, which is easy and effortless, is natural. This knowledge allows us to love and accept things as they are rather than crib for something that is not feasible. Living a life in balance and harmony provides us prosperity in all aspects of life: health, relationship, career, and lifestyle. I encourage you to soak up the wisdom imparted by Dr Krish: through this highly useful book. Hope you'll reap great benef from the science of Ayurveda and attain a fruitful combination healthy body, mind, and spirit! There is only one person in this world who knows you in the best possible manner, who knows you exactly how you are. And that is you - yourself. We know ourselves too well, more than any other person and naturally we are aware of our shortcomings also, better than anyone else. Every individual is his/her own best friend and also his/her own worst critic. Silently and secretly, many a time we dread and suffer the limitations of our basic nature. It requires courage to realise and learn about one's shortcomings. At times it's even scary. We often wonder whether we should blame ourselves all the time for being fond of sweets, for having the tendency to put on extra pounds, for being outspoken, or for being judgmental over issues that would not actually bother us emotionally. At times we simply give in by holding ourselves responsible; at other times we feel helpless and fail to figure out why we are like that. Why do we behave in a certain manner? Why are our habits and ways different from other people? I'm sure you must have definitely pondered over this more often than you can remember. I also realise that you have not always been able to find a satisfactory answer to it. Here I bring you the good news that India's age-old science of Ayurveda has the answer to such very important queries of our life. 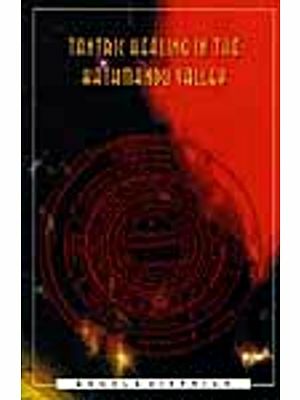 This book will place before you a concise essence of the scienceof Ayurveda that will help you find answers to all the questio that have often bothered you on a subconscious level. •	Why are all human beings not the same, and what brir about the differences in their physical appearance a: temperament? •	What actually governs our basic constitution? •	Despite following most of the prescribed 'Health Rule how come we still seem to lose our wellness every now al then? •	And last but not the least, when and how, can our natu health be restored? As we go into all these details and get the desired answers, ' will also discover and understand our natural entity, so that' can be our own lifelong guides! This is because assessing your ba and inborn nature at first helps you to accept yourself, so that ye can thereafter aptly and accordingly make changes in your lifesty Consequently, it is perhaps the only therapy you need - in bo curative as well as preventive terms - to enjoy till the last bread' life full of natural wellness and freedom from disease. I feel tl surely is the need of the times.